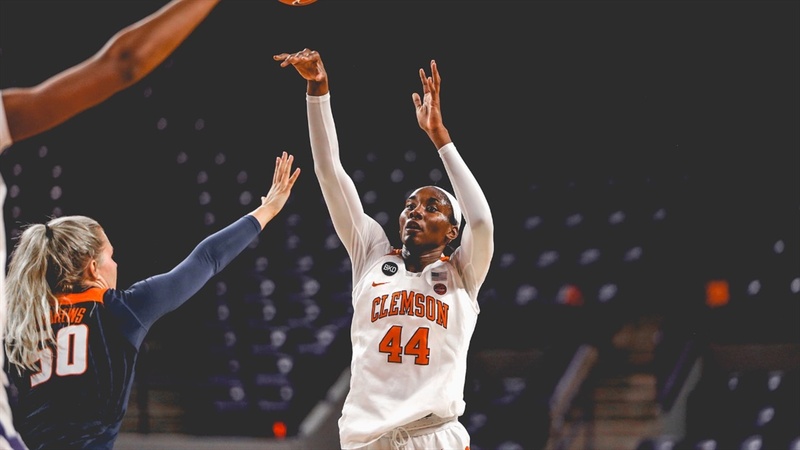 During the month of February, the Clemson women's basketball program is teaming up with the Kay Yow Cancer Fund to raise funds for scientific research and projects for all cancers that affect women. The Play4Kay fundraising initiative is month-to-month campaign that brings cancer in women to the forefront of the women’s basketball community. This month, the Tigers encourage the Clemson Family to take part in the Play4Kay National Free Throw Challenge. Fans have the opportunity to pledge a dollar amount for every made free throw by the Tigers during the month of February. To support the Tigers in the Play4Kay Free Throw Challenge, head to the Clemson pledge page here. Clemson will host Florida State on Thursday, Feb. 14 for this year’s Play4Kay game at Littlejohn Coliseum. Tipoff is set for 7 p.m. and the game will air on ACC Network Extra.